World’s Fastest Hypercar Launched in UAE! Milan Automotive GmBh, an Austrian company has revealed their new hypercar in the UAE. Milan Red is a mind-blowing addition to one of UAE’s already long line of luxury vehicles. At their Shaikh Zayed Road showroom, Deals on Wheels revealed the hypercar in a grand ceremony and will just be producing 99 of these cars for sale. Talking at the launch event Muhammad Redha Abdullah stated that, “Need for unprecedented speed is the ultimate objective of any hypercar driver, and MILAN RED will be a welcome addition for the UAE. We are proud to bring this new-generation hypercar to the UAE market”. The hypercar for sale is believed to have exciting new features that are both practical and aesthetically appealing. It has been created with the best state-of-the-art technology and 18 of them have already been nabbed! Let’s talk about some muscle power now. 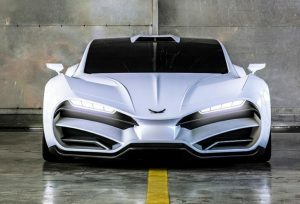 The car carries a 6.2 litre, V-8 quad turbo that generates a whopping 1,325 horsepower. The hypercar is geared to cruise with a 7-speed dual clutch transmission. The hypercar is said to hit the 0-60 milestone in an astounding 2.5 seconds. The makers also promise that it would hit 200 km/h in 5.5 seconds and the 299 km/h mark in about 9.9 seconds! Another cool fact is that the car’s structure will be manufactured from carbon wishbones to keep the weight to a reasonable 1,300 kg. The brakes are made of carbon and ceramic for the 20 inch front wheels and 21 inch-rear aluminium wheels. Another cool add-on in theme with its gorgeous design is the heartbeat visualization of the driver on the dashboard. It has a top speed of 467 kph and Milan is selling car with a price tag of 7.9 million AED! Hypercars do cost millions, can go very fast and attract plenty of attention in the traffic, but there are also many more beautiful cars that you can aspire to buy. 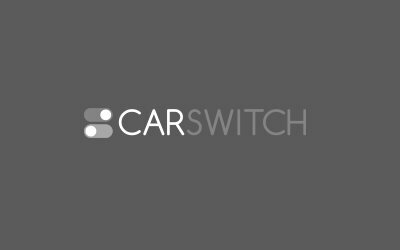 CarSwitch.com is a hassle-free, online platform that is selling car with a 200-point inspection report and warranty. View the car inspection report and book a test drive! Good luck! Car Fines Can Now Be Paid off through a Trouble-Free Payment Method! Dubai Roads and Transport Authority has rolled out a new service to make it easy for. Porsche Celebrates Birthday Bash by Confirming Production of 911 Speedster! The excitingly gorgeous Porsche Speedster 911’s concept was shared in June and now has finally been. Al Habtoor Launches Mitsubishi Car for Sale in UAE! The car for sale, however, isn’t the only great thing. Al Habtoor is the official distributor.